Agencies (around the world) have for months been trying to work out whether they could ride off the back of the Winter Olympics without being a sponsor, or, let’s be honest, how you ride out a campaign for the Winter Olympics whilst being a sponsor. You're looking to create a campaign for an amazing global property, but it’s also a property more litigious than the whole of Hollywood put together. Alongside the fact that most people have little or no idea (or interest) in sports like Nordic Combined, Biathlon, or Alpine Skiing. Then you throw in the location – Sochi (which most of us thought was in Japan), which we all think is miles from anywhere. So what did most of us do, we ignored it, we buried our head in the snow, and went off to find some easier properties to hang our hats on. But then someone like BrewDog, steps forward and smashes an idea out the snow park, and we all sit around and wished we’d pushed ourselves that bit harder. There’s a saying: “There’s no such thing as a difficult question, when you know the answer”, and Brewdog have supplied the answer to the Sochi question. Ensure that your product is at the heart of your idea – Create the first ever 8.2% Protest Beer, made with Limonik berries said to enhance a “Russian Hunters performance”. 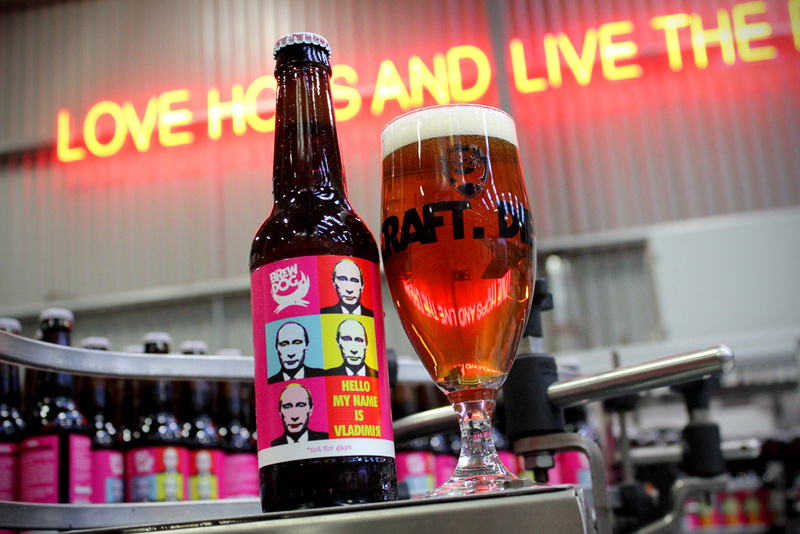 Attack a common enemy – Put Vladimir Putin on the bottle in 5 different colour ways and name your beer, “Hello My Name is Vladimir”. Offer the media strong imagery to bring the story to life – Vlad on a bottle and a pack addressed to the Kremlin. Make your brand personal – Get the founders on a photo opp (bare back or is it beer-back on a horse). Make it sharable - You can't help but want to share a story ridiculing a global Russian head of state/ dictator #notforgays. Support the underdog – Mark your beer “not for gays” and make a statement that says “As Hello My Name Is Vladimir is clearly marked “not for gays” we should bypass the legislation introduced by Putin outlawing supposed “homosexual propaganda”, so Vlad shouldn’t have an issue with it”. Play to your crowd – Make a charity donation for every bottle sold. The best ideas aren’t usually the biggest they’re usually the simplest, and in PR there’s a desire all too often to reinvent the wheel, and make it overly complex, that’s why BrewDogs idea is so good. It’s a beautifully crafted simple idea, and one that has set the bar high for 2014. Brewdog worked with Manifest Communications on this campaign.